DOMUS is located at 8 IRRAWADDY ROAD in district 12 (Novena, Thomson, Toa Payoh) of Singapore. DOMUS is a Freehold Condo development consisting of 104 units. DOMUS is completed / TOP in 2012 (estimated), developed by LAKEVIEW INVESTMENT PTE LTD.
Educational institutions like SAN YU ADVENTIST SCHOOL, GLOBAL INDIAN INTERNATIONAL SCHOOL, ST JOSEPH INSTITUTIONAL INTERNATIONAL, BALESTIER HILL PRIMARY SCHOOL, ANGLO-CHINESE SCHOOL (PRIMARY) and KHENG CHENG SCHOOL are near to DOMUS. DOMUS is accessible via nearby NOVENA, TOA PAYOH and CALDECOTT MRT Stations. It's located at a quiet stretch of road yet close to ammenities. 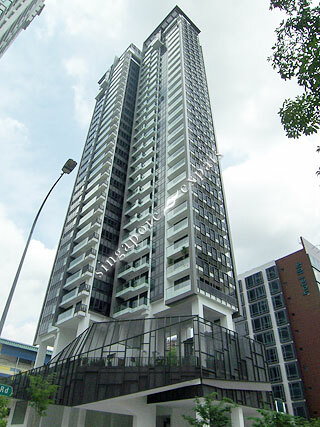 It is within walking distance to Novena MRT and Novena Medical Center. It is also opposite Zhong Shan Park.